Toronto laneways are the new places to play | Kids in T.O. There are more than 2,400 laneways in Toronto. And these alleys are becoming the newest places for communities and families to gather thanks to the not-for-profit organization The Laneway Project. Over the past two years co-founders and urban planners and designers Michelle Senayah and Ariana Cancelli have turned many of the city’s once abandoned or underused places into greener more livable spaces. And Torontonians are benefitting from their passion, research and experience. 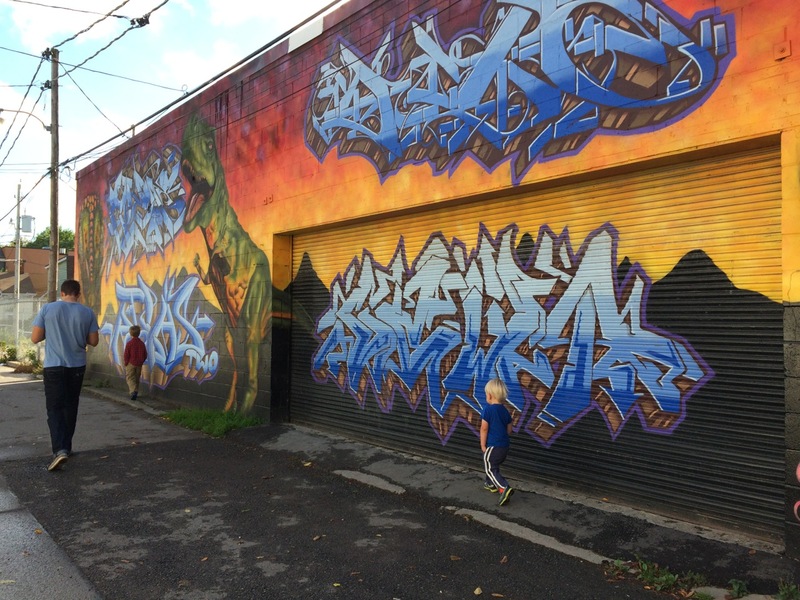 The Laneway Project offers publically available how-to guides on greening and naming laneways, as well as creating murals and events. Organize a laneway clean up day with your neighbours for a couple hours. Get kids to participate in the sweeping and litter clean up. Gather your neighbours for interactive activities like sidewalk chalk drawing, hula hooping or drum circles. Use garages for pick-up sports games like hockey and soccer.